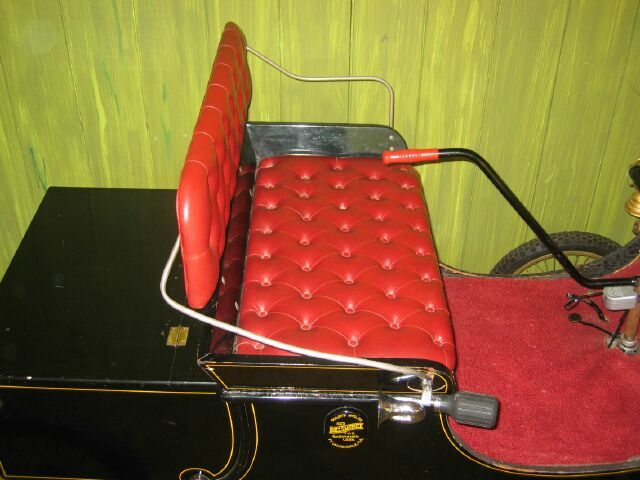 Having greatly improved the Rollsmobile's power train, starting system and lights, Dr. Charland licensed the Rollsmobile to be driven on the street in 1971. My client acquired the car when he purchased a mountain home from Dr. Charland. The car has been stored in the livingroom of the home since 1978. No expense was spared in the original construction of the Rollsmobile body and chassis. The body is made from marine plywood with a mahogony overlay. The body was given seven coats of hand-rubbed black enamel with gold pinstriping. Hand-spun brass lamps housed sealed beam headlight. The car has running lights and turn signals. The turn signals are activated by a combination directional and emergency hazard warning switch mounted on the tiller. The control panel is located below the seat. The choke is in the center. The motor stop button and light switch is in the lower right-hand corner. 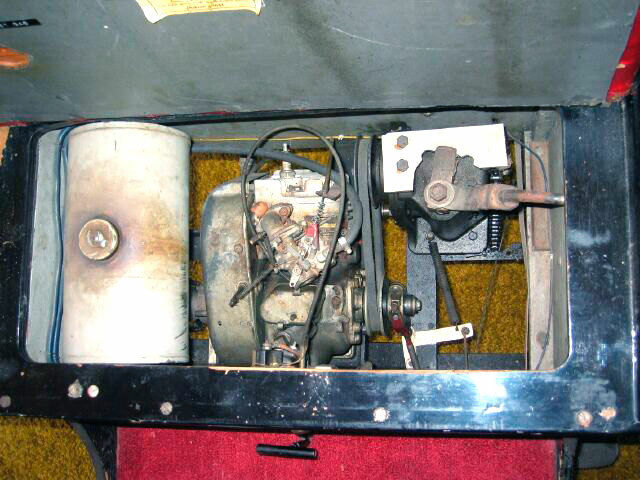 The motor start button is to the right of the control panel. The emergency brake control is a T-handle located in the center back of the floorboard. You pull and twist the handle to set the emergency brake. It has a hand-squeeze horn mounted on the right side. The seat is red Naugahyde padded with foam rubber. The floor board is covered with red carpeting. The body is in very good condition with only a few surface scratches. 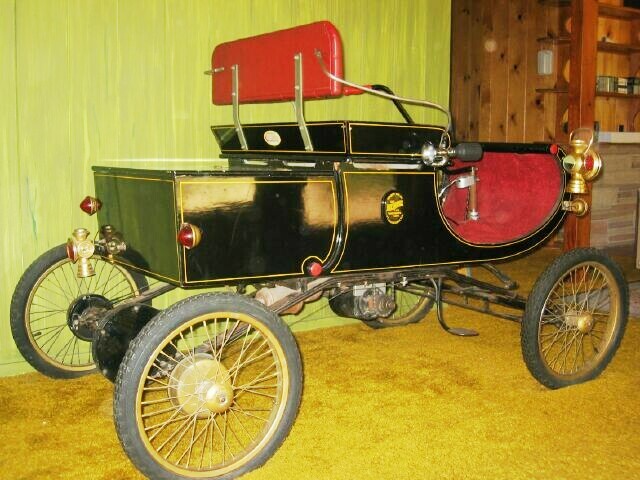 The frame, suspension, motor and drive train are in excellent original condition. The car has recently been serviced and is running and driving. Do not miss this opportunity to acquire a genuine 1958 Rollsmobile 1901 Oldsmobile Curved Dash 3/4 scale car is very good condition. 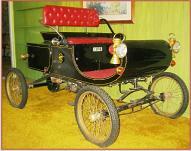 This car also has a colorful history and comes with all the original manuals and documentation. Please call (406) 318-0270 for details about this restorable classic project car.